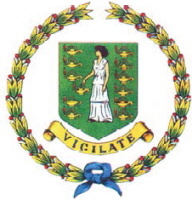 The British Virgin Islands are a British Overseas Territory, located in the Caribbean to the east of Puerto Rico. The Islands make up part of the Virgin Islands archipelago, the remaining islands constituting the U.S Virgin Islands. The British Virgin Islands consist of the main islands of Tortola, Virgin Gorda, Anegada and Jost Van Dyke along with fifty other smaller islands and cays. Approximately fifteen of the islands are inhabited. The largest island, Tortola and the islands have a total population of about 22,000, of whom approximately 18,000 live on Tortola.